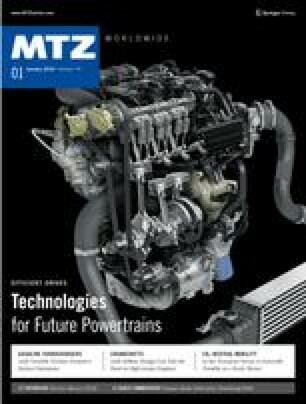 The locating of high-volume substrates for exhaust aftertreatment systems in the muffler of commercial vehicles presents a particular challenge. In this case, catalytic converters or filters with oval cross-sections can positively impact installation space utilization and flow. In a collaboration with NGK and BASF, Eberspächer has developed a procedure for canning high- volume substrates with oval cross-sections. The author would like to thank Dr. Adolf Schäfer-Sindlinger, NGK Europe GmbH, and Dr. Ansgar Wille, BASF Catalysts Germany GmbH, for the fruitful cooperation and support on this project.